European Bee-eater pair, NIKON D700 and Nikkor 500mm f/4G ED VR, 1/2000 sec at F7.1, manual metering, flash off, ISO 800. Image Copyright 2010 Robert OToole / Robert OToole Photography. 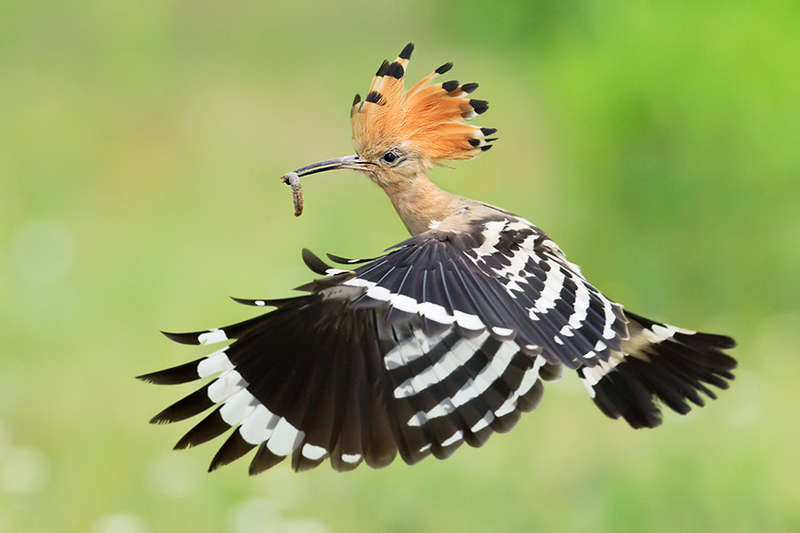 Hoopoe with prey, NIKON D700 and Nikkor 500mm f/4G ED VR, 1/3200 sec at F5.6, manual metering, flash off, ISO 1600. Image Copyright 2010 Robert OToole / Robert OToole Photography.